You guys know that I am excited for all of the re-openings coming soon right across the territory – some after the hurricane for the first time and some after closure for the summer season. We have much to look forward to in the Territory in the next couple of months. But as well as new venues and resorts coming up – we also have a new product! When most people think of Caribbean products and exports – the obvious answer is rum. But the BVI has been shaking things up recently and BVI Gin has been hitting shelves across the islands, stocked by many of the bars and restaurants. A small batch craft gin, locally distilled right here in the British Virgin Islands. Beautifully packaged, with a hand-illustrated map of the BVI on the bottle, it is an excellent new addition to the local bar scene. 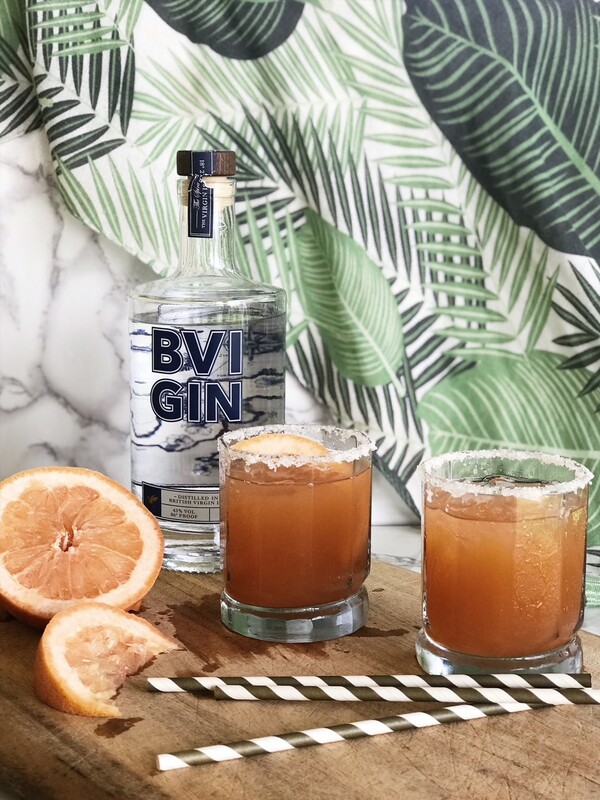 Made with a combination of 11 botanicals including juniper berries, coriander seeds, hibiscus flower, almond, oregano, liquorice root, angelica root, cassia bark, lemon peel, grapefruit oil and grains of paradise – BVI Gin pairs perfectly with any number of cocktail ingredients, but today I’m going to focus on three of them; hibiscus flower, grapefruit oil and lemon peel. You might remember that I like to keep a well-stocked bar cart – and I love any opportunity for a tasting and some cocktail development. So that’s what I have for you this morning. (Don’t judge me, I know it’s only Monday…). A little review of the BVI Gin and three of my favourite ways to serve it. One of my Christmas presents from my mum this year was a jar of hibiscus flowers in syrup – because they are a perfect addition to prosecco and a host of other cocktails. I’ve since had to buy myself a new jar, because I just keep using them! Aside from prosecco, my favourite way to utilitise them is in a simple gin and tonic. Adding a touch a sweetness and working beautifully with the hibiscus flower featured in the gin. It makes for a refreshing sundowner – which also happens to look as good as it tastes. Pour Gin and Tonic over ice in a highball glass, garnish with the hibiscus flowers and drizzle over the syrup. Serve with your favourite reusable straw. Similar concept to my favourite tequila drink (the Paloma) a Salty Dog contains gin and grapefruit juice and is served with a salted rim. I’ve been drinking a variation of this recently and adding a splash of club soda for a touch of fizz. Pour gin and grapefruit juice in a short glass over ice, garnish with a salted rim and a wedge of fresh grapefruit. Deliciously sharp and effervescent champagne cocktail with gin and lemon juice. Easy to make either individual cocktails or make up a batch of the gin and lemon base for a group, that can then be topped up with the champagne when ready. 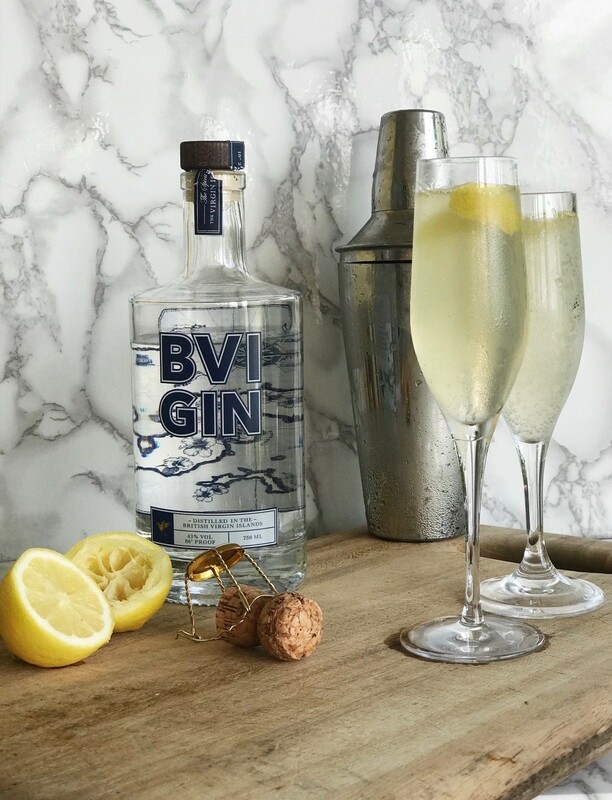 Combine gin, lemon juice and simple syrup in a cocktail shaker and shake well over ice, strain into an iced champagne glass and top with fizz. Garnish with a twist of lemon peel. Do you have any favourite gin recipes that I should be trying? 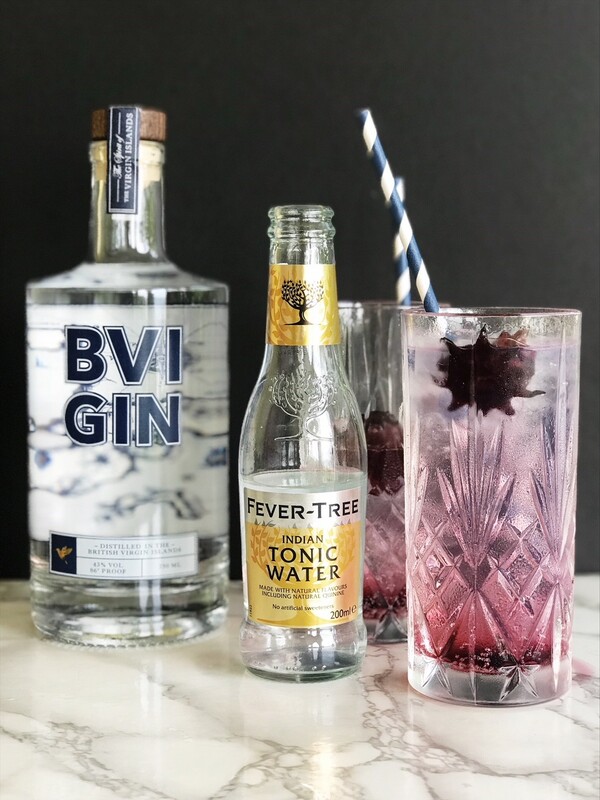 It is also worth noting that if all this sounds too complicated, one of the best ways to serve BVI Gin is a simple pour of 50 ml gin and 200 ml Fevertree tonic garnished with a twist of grapefruit peel. Simple but effective. 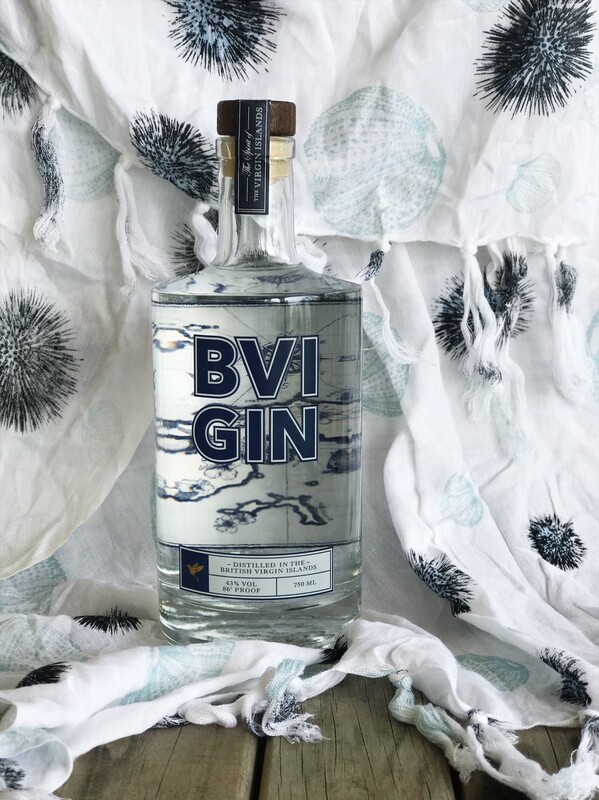 Currently bottles of BVI Gin are only available to buy at That’s The Spirit in Tortola Pier Park, but found in bars and restaurants across the islands. So remember, when you hit the bars support local, and ask for BVI Gin with your tonic! 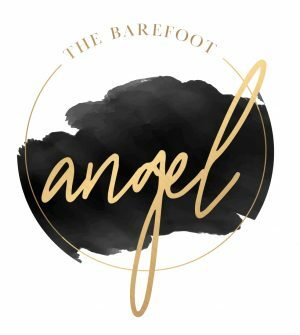 I don’t like gin but can appreciate a good mocktail – I’m going to adapt your amazing recipe with something like lemonade/similar… fingers crossed for me! P.s. your imagery is insane! Definitely!! 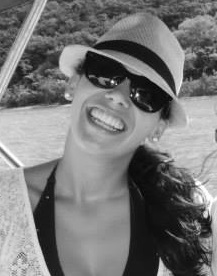 I love a good martini and BVI Gin would be perfect! Oh yummy! I’ve never thought of using the hibiscus flowers in gin, I’m going to give it a go! Ohhh i love this recipes, too long ago that I drink gin. It looks super delish and a perfect drink for chillax.Thanks alot for sharing this recipe babe. Nothing beats a Gin and Ting. Geesh they all sound and look so good. If I had to pick I’d go for the hibiscus!! Is it anywhere on JVD? I’m headed there next week and may need to do a martini test at Foxy’s or SDB or Hendo’s!!! Yes!! I saw pictures of a large delivery making it’s way over to Jost today! You definitely need to give it a try – it makes a great martini!